Ovens are important as part of our daily cooking process. We need this invention to make some of the best dishes our taste buds die for. In the country, ovens are a definite requirement in almost every kitchen. 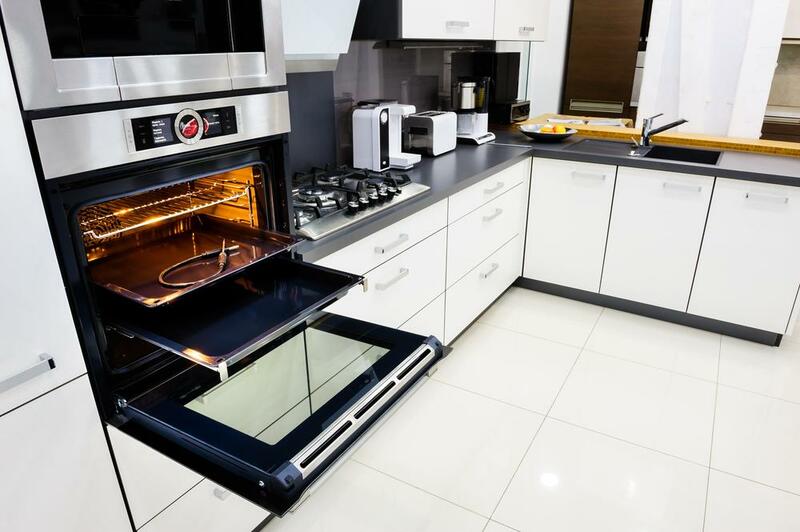 Nowadays, with the advancement in technology, ovens are available in all shapes and sizes; one among them is the wall oven. Wall ovens, as the name suggests, fits in a wall and are very powerful as well. They are compatible with your kitchen settings and make the entire process of cooking easier and faster. Some argue that it is best among the many types of ovens available. As mentioned in the beginning, wall ovens also come in different types. They are further classified into two categories—single and double. We also have the modern microwave and oven combinations. You can choose from either the electric or the gas version. With the variety of options available on the market, one can get confused when choosing the right one for them. Mentioned below are some of the top wall ovens that are currently reigning the market. One of the biggest electronic companies on the planet, GE produces some of the best electronic products around the world. They also produce fantastic wall ovens. One of its best models is the GE JT5000SFSS 30″ Stainless Steel Electric Single Wall Oven. It is a convection model and it has good reviews and ratings. The price is also good; this oven is available in many outlets for good offers. There are other top models by GE such as GE Cafe CT9050SHSS, GE Profile PT7550EHES, and GE JT3000SFSS. The GE JT3000SFSS is the only best-rated model that is within the $1000 price. Another big name, Bosch has been an inventor of modern-day wall ovens for quite a while. The best rated among all of them is the Bosch HBL8451UC 800 30″ Stainless Steel Single model which is electric and has a convection system. It has the EcoClean Self-Clean feature and fast preheating. It comes in a price range of around $2000. The resident electronics line of Sears has been satisfying customers for a long time. One of the best models that it has produced is the Kenmore 49513. With a price of around $1150, it is a single wall oven that comes in stainless steel. This is also a convection model with a hidden heating element which makes the heating even and results in delicious dishes. Though the brand may not be as big as the previous competitors, Jenn-Air has been a customer favorite for many years now. One of their best models is the Jenn-Air JJW2330WS 30″. It is a single type and is made of stainless steel. It is a self-cleaning oven with a lock that is automatic. It also has a full-color LCD display. This wall oven comes for a price range of around $1895. Kitchenaid also has some of the most popular wall ovens in the market. A beautiful line of electronic wall ovens are produced by this company and they are very modern. From Kitchenaid, we have Kitchenaid KEHU309SSS. The first on this list, this model is a built-in microwave/oven combination with a technology known as the Steam-Assist. This has multi-functions and it can cook some great dishes. Frigidaire has a premium product which is rated as one of the best wall ovens—the Frigidaire FGEW3065PF. It is a single wall oven with a convection mechanism. It is a 30-inch model with stainless steel make. These are some of the best-rated models and top brands in the wall ovens industry. Do make sure to complete your homework on finding which wall oven suits your needs best. You may want to consider the size, the mechanism it uses, the power required, the reviews and ratings, and finally, the budget. There are many offers available in some of the country’s best stores. Consider all aspects smartly before choosing the right wall oven for your home.